Ghana has had its fair share of disasters of varying magnitudes over the past twenty years; from the stadium disaster that led to more than 100 dead to gas explosions that have occurred in various parts of the country in the past two years. It appears that Ghana has not learnt her lesson when it comes to management, mitigation and prevention of what has become perennial disasters. In spite of the many failures of this West African country which was first to gain independence south of the Sahara, there is one thing that this country has excelled and shown leadership within the sub-region: emergency response. Soon after the Accra stadium disaster, the government took the decision to improve the country’s emergency response system in 2001. This decision led to the setting up of the national ambulance service and streamlining of the health system in 2004. Prior to this, there was no structured emergency response system in the country; hospitals had no formalized emergency set ups. Casualty rooms and specialty-led emergency rooms were staffed by general practice doctors and nurses. There was no formalized triage system at the time and commercial vehicles were the main mode of transporting emergency patients from the scene of a collision. Five years on, after the introduction of the National Ambulance, came formal training of doctors and nurses on emergency medicine through the Ghana Emergency Medicine Collaborative (GEMC) between the Ghana College of Physicians and Surgeons, Kwame Nkrumah University of Science and Technology, Komfo Anokye Teaching Hospital and University of Michigan. 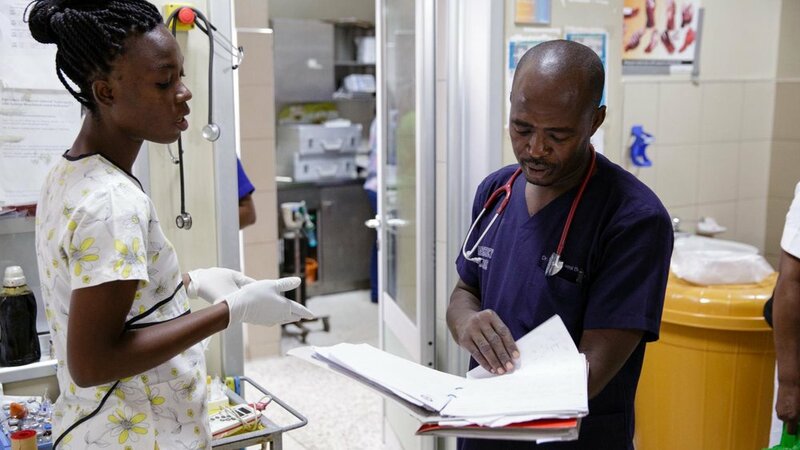 This collaboration gave birth to a formalized emergency medicine residency programme for doctors and nurses in 2009 at the Komfo Anokye Teaching Hospital in Kumasi, the second largest city in Ghana – the only centre in the West African sub-region providing training for doctors and nurses in emergency medicine. In 10 years, this collaborative has gone on to train 40 emergency physicians, more than 250 emergency nurses, and hundreds of emergency medical technicians (basic and advanced). Emergency physicians and nurses have spread to almost all ten regions of Ghana; the National Ambulance Service provides emergency medical services in all regions of Ghana amidst a myriad of challenges. 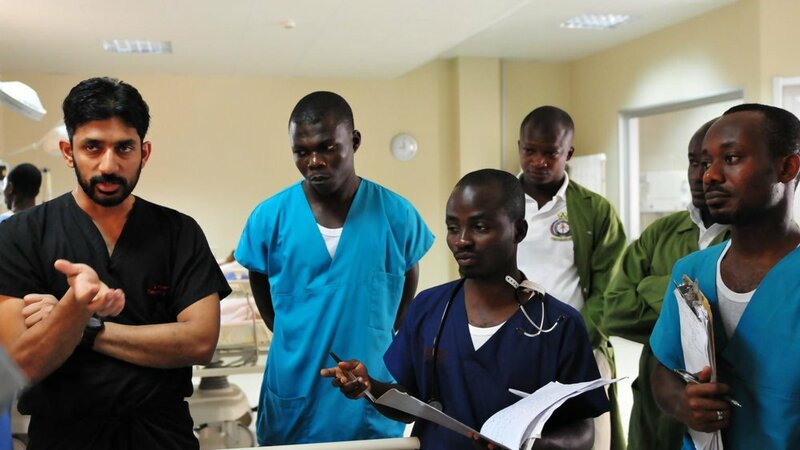 Two emergency physicians from Nigeria have been trained and one is currently practicing in Nigeria. Products of the programme played an active role in the Melcom disaster and recent gas explosions in Ghana. 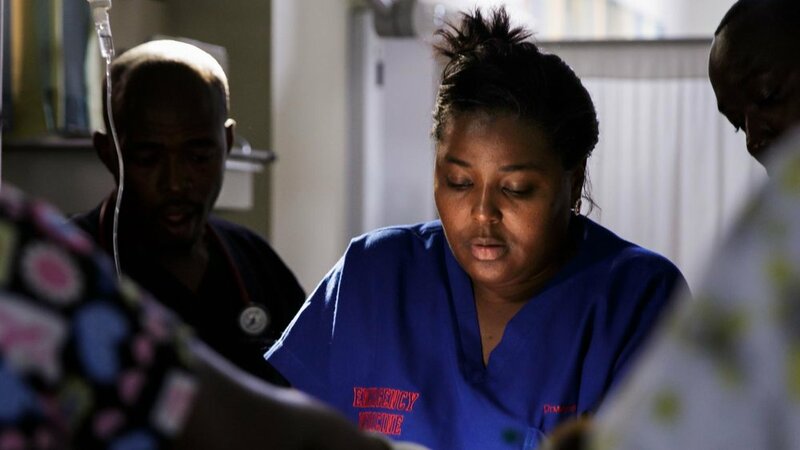 Advanced trauma life support training has been introduced to Ghana to promote efficient and effective management of the trauma patient through the efforts of stalwarts in emergency medicine. If there has been any good in Ghana, one such good has been the introduction of emergency medicine. We cannot write about emergency medicine without mentioning the foundational leaders whose blood and toil have made emergency medicine survive in Ghana, including Former President John Kuffour, Prof Peter Donkor, Prof William Barsan, Prof Nyame, Dr George Oduro, Dr Rockefeller Oteng, Dr Anthony Nsiah-Asare, Dr Patrick Karikari, Prof Ahmed Zakari, Dr Patrick Carter, Dr SueAnn Bell, Dr Victoria Bam, Prof Ron Maio and many others. These people have played various roles in enabling the wobbly steps of emergency medicine to become increasingly firm in Ghana. We look into the future with expectation that we will continue to become the game changers in health provision in Ghana and become leaders in the forefront of emergency health care provision in the sub-region. 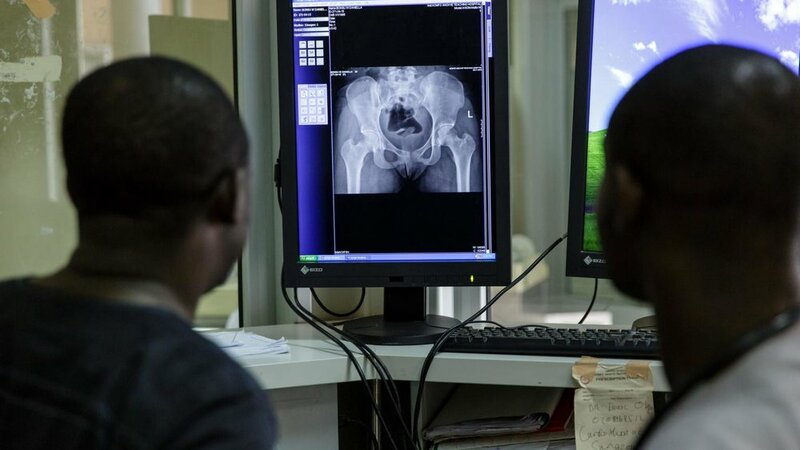 Fostering collaboration with other medical specialties to enhance training in Ghana and across the sub-region and the development of subspecialty training to birth academic emergency medicine in Ghana are envisaged in the next few years. The development and spread of formalized emergency medicine practice and training in the West African sub-region is one key that will keep us alive and relevant. We cannot be the only drop in West Africa and still stay relevant. 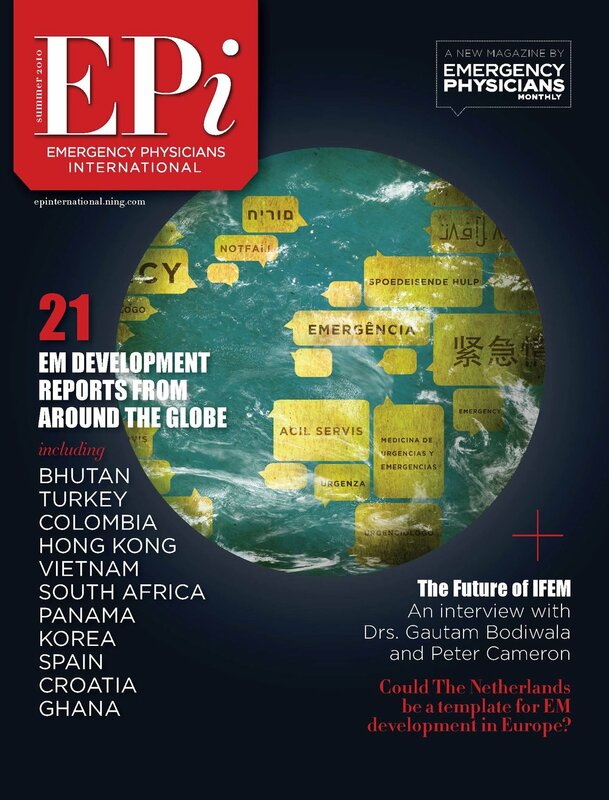 The development of international emergency medicine will be useful in getting the rest of West Africa to embrace formalized practice of emergency medicine. We look with hope and eagerness into the next phase of emergency medicine practice in Ghana- advancement in pre-hospital emergency medicine, establishing and re-organizing emergency rooms of varying tiers based on available human and logistical capacity. We look forward to a self driven and more matured emergency care system in Ghana; evidenced by a well developed pre-hospital, in-hospital emergency medicine straying into rehabilitation and preventive medical services. What a Ghana that will be. The first and important steps have been taken and the future belongs to us now. Dr. Paa Kobina Forson is an emergency physician at Komfo Anokye Teaching Hospital and St Patrick’s Hospital, Offinso. He is Scientific Committee Chair of Ghana Emergency Medicine.